Completely refurbished studio apartment in secure location just ouside the city centre. The apartment comprises of an open plan fully fitted kitchen area with integral appliances. Spacious living/ bedroom area. A luxury white bathroom suite with electric Shower. Fully furnished to a high standard to meet student requirements. 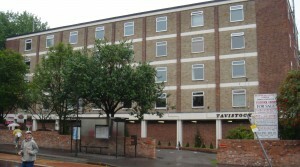 Ideal location for the city Centre or the Nottingham Trent University. All facilities, private parking. Secure key code entry system. Well worth Viewing.